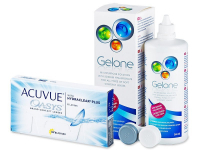 TopVue Premium contact lenses are a new product from TopVue. 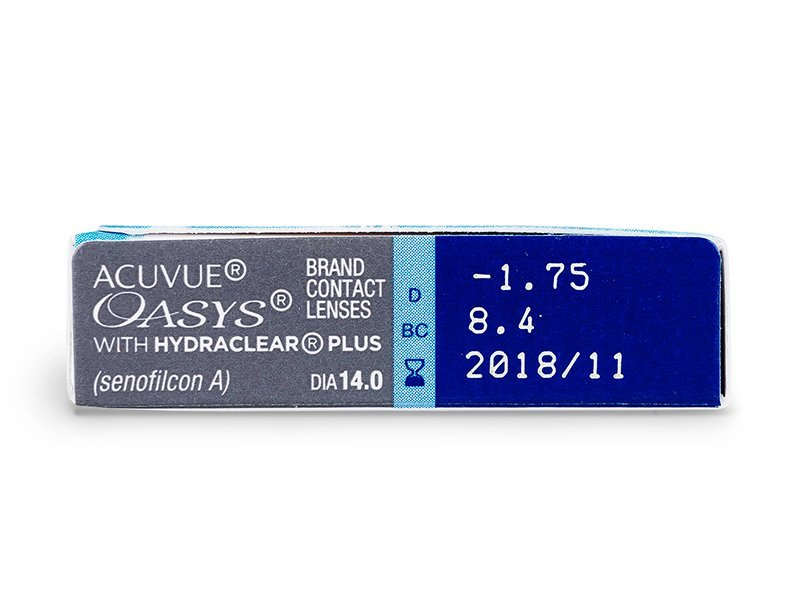 These bi-weekly contact lenses are made from a new generation of silicone hydrogel, which has been modified to provide comfort and sharp vision for your eyes. 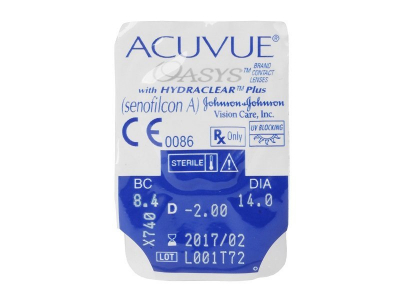 Acuvue Oasys are the latest generation of biweekly disposable contact lenses by the market’s leading manufacturer in the field – Johnson & Johnson. 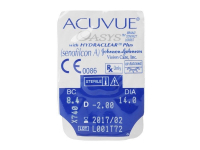 Acuvue Oasys is a newer generation of the original Acuvue Advance Plus lenses, which were the first silicone-hydrogel contact lenses on the market. 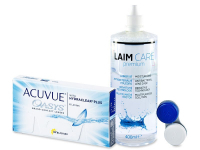 Acuvue Oasys lenses are designed to perform well in even the most demanding conditions. Thanks to their silicone-hydrogel material, Sanofilcon A, the lenses offer exceptionally high oxygen permeability – 147 Dk/t. Acuvue Oasys lenses contain the brand's patented wetting agent (Hydraclear Plus), which keeps the contact lenses sufficiently moisturised throughout the wearing period while resisting the accumulation of deposits which can lead to blurry vision and discomfort. These lenses are ideal for users with sensitive eyes and for those who are involved in daily activities where their eyes may feel uncomfortable or irritated, such as extensive computer work or spending time in air-conditioned environments. Thanks to their high oxygen permeability, the lenses are approved for extended wear (7 days and 6 nights without removing). However, it is necessary to consult with your eye doctor before beginning this type of regimen. The recommended time to wear one pair of lenses is determined by the manufacturer on the basis of the lifespan of the lens' material and it’s ability to resist deposit formation. Therefore it is important to respect the replacement schedule for your health and comfort. Follow the guidelines for use provided by your optician to protect your eyes. Really comfortable lenses, my eyes feel great and refreshed every time I put them in. You really notice the extra breathability when you wear them. Ive been with my old contact lens brand for 8 years and decided to give another brand a go. Best decision ever! These contact lenses are so much better, lighter and easier to apply. At such an excellent price, I will definitely buy these again. Hi Anais, thanks for the great feedback. We're pleased that you're satisfied and comfortable! 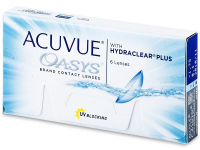 Is there such thing as one a day acuvue oasys? I'm happy with these, but think I would prefer daily contacts. 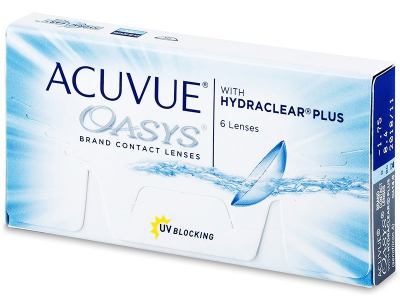 I'm worried about acuvue oasys drying out my eyes. I have quite sensitive eyes, so I want to make sure these will be comfortable for me. Hi Paul, Acuvue Oasys moisture content is 38% which should be very comfortable for most users. They also have an exceptionally high level of oxygen permeability to enhance their comfort. 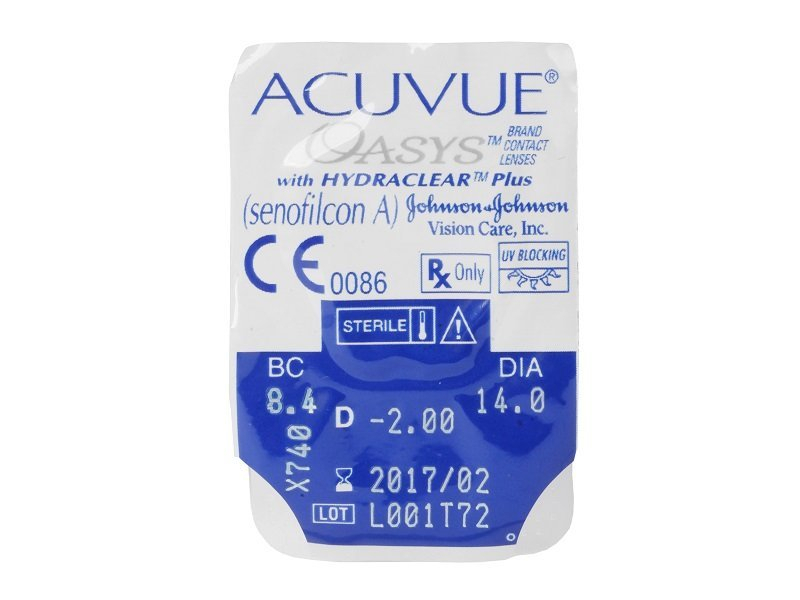 Hi there, does acuvue oasys come in colors? I'd love to try a blue or green color. The free shipping is wonderful, and definitely incentive for me to stock up. I wasn't used to spending so much at one go, but I'm so glad I did. Now I don't have to worry about reordering on time every month. Very light and thin lenses. It's easy to forget I'm wearing them, but I've found it's better for me to take them out at night. 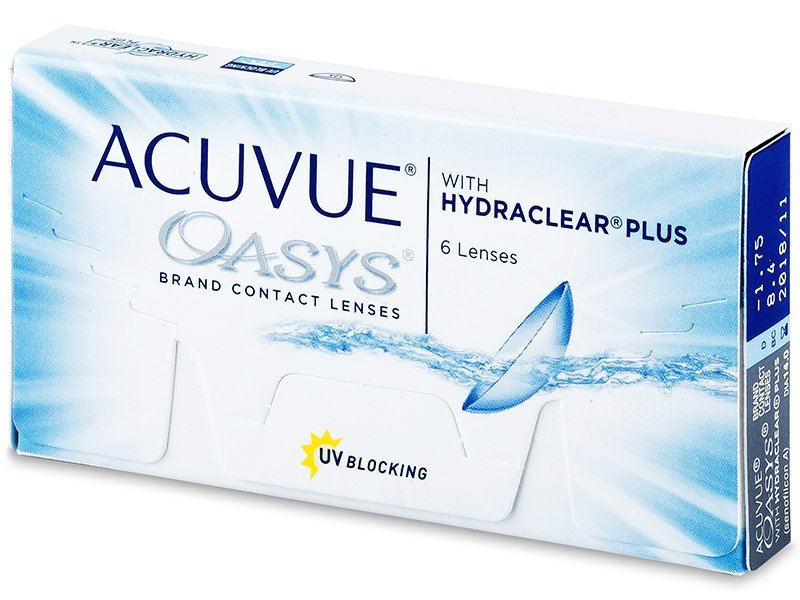 I've been loyal to Acuvue Oasys, and can't imagine wearing anything else. Thanks to Alensa for the great service and speedy delivery. This website is so easy to use the delivery times are speedy and products always accurate. We are more than happy to answer your question! Dia, refers to the diameter or the lense and BC simply means Basic curve!